When it comes to security solutions you can depend on, we are now the leading provider of electric gates in St Albans and across Hertfordshire. Our highly trained security team have a local knowledge of the area, having worked in both the commercial and the domestic sectors to create security gates installations which are crafted to the unique needs of the client and their specific operating environment. Our experienced team will arrive promptly and assess the gate and the repairs required. We will make every effort to repair your security gates system immediately and with minimum disruption to business or residents. Should your system repair require parts to be ordered you will be informed of the time involved and work will be carried out on schedule. 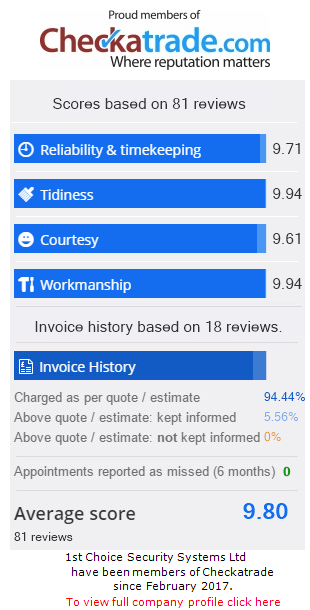 Our repairs service is committed to restoring your system, and your security, fast. St Albans enjoys the reputation of being a city with a low crime rate. However, 2015 saw a 20% rise in burglaries across the city. St Albans police warned householders to take steps to secure their property, and noted that cities lying within the commuter belt tend to be more susceptible to burglary as their houses are likely to be unoccupied for longer stretches of the day. Whether you own domestic, business or commercial property in St Albans, a professionally installed electric gate security system can offer that all important peace of mind at every hour of the day and night. We install electric gates throughout throughout St Albans and Hertfordshire, including Stevenage, Hemel Hempstead, Watford, Hertford, Potters Bar, Hatfield, Harpenden, Welwyn, Berkhamsted and Borehamwood. At 1st Choice Security Solutions our goal is to be your ‘go to’ for your automatic gates system. We have already worked with hundreds of clients in St Albans, we know the area well, and we are ideally placed to offer you professional advice on the security solution that will best serve your needs. We will aim to repair your electric gates system quickly and efficiently. Should we be unable to repair it, we will offer you advice on a replacement system which will suit your security needs. We can discuss upgrade options with you, if you feel that your current system no longer suits your requirements. We can also help you to decide what kind of security system would work best for you; many of our clients have found it helpful to consider upgrading manual gates with automated solutions. A member of our site survey team will be happy to visit you at your location, offer you an assessment of your security needs, and give you advice on the systems you may wish to install in order to secure you premises. We don’t do a hard sell; our first commitment is to your security and peace of mind. 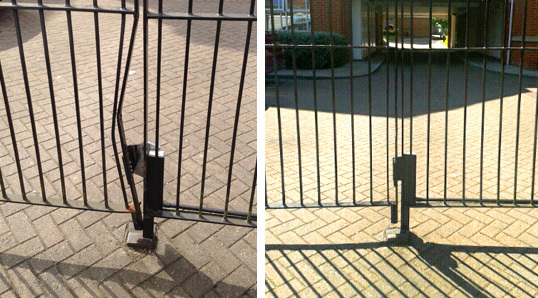 In need of CAMSAFE Gate Repairs in St Albans? Our Installers have vast knowledge and experience to be able to offer the required security solutions and automation safety for all our electric gates in St Albans. Visit CAMESAFE and pop in our ID code (2541) for peace of mind!